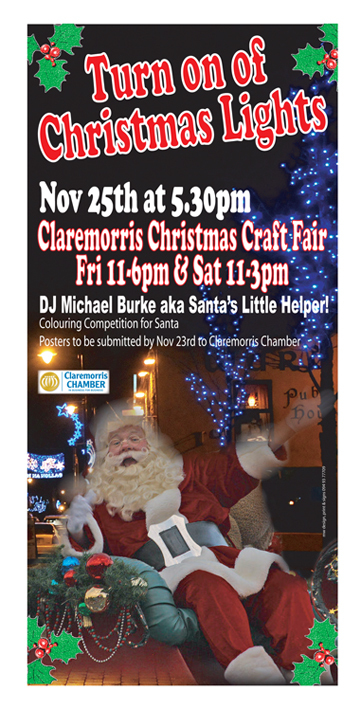 Come to Claremorris on 25/26th November for the offical start of Christmas. Christmas Craft Fair in the Square on 25th from 11-6pm. Santa will in town to switch on the Christmas Ligths at 5.30 with his little helper. Christmas Craft Fair on 26th from 11-3pm. Lots of locally produced crafts for sale both days and Christmas music, fun and craic.